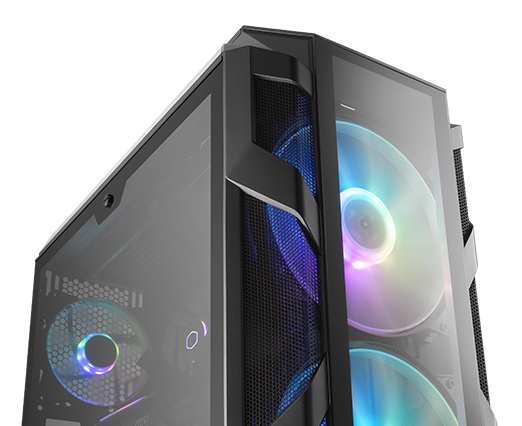 Choose between the mesh front panel for optimized airflow or the glass option for a balance of aesthetics and performance with the included accessory. 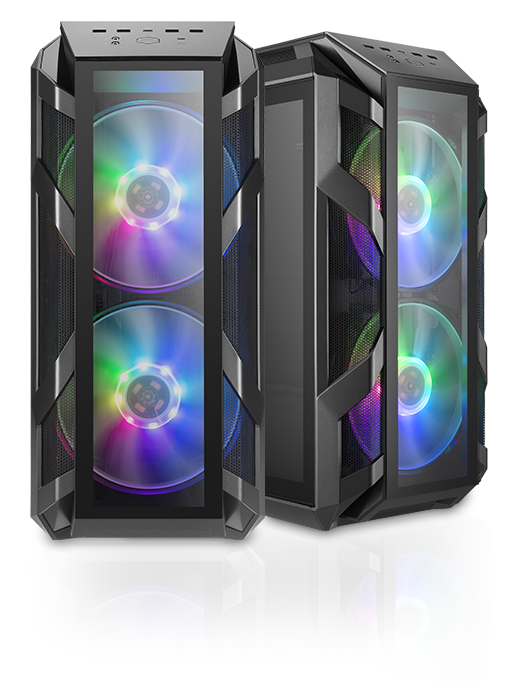 Move air stylishly and quietly with two 200mm Addressable RGB fans controlled by an included Addressable RGB controller. Edge-to-edge glass side panels on both sides, a glass top panel, and a glass front panel offer a clear and comprehensive system view. 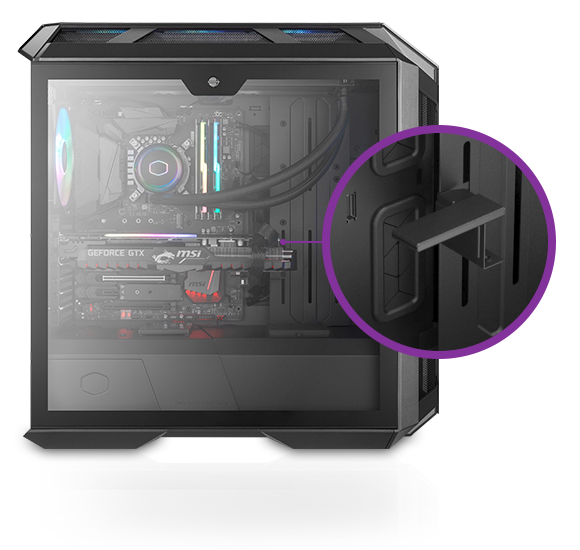 Relieve the stress of weight and reinforce larger, longer graphics cards with an included adjustable graphics card support arm. 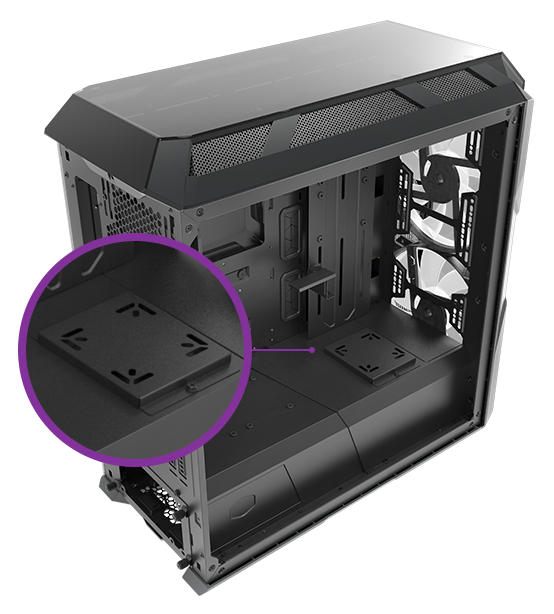 The front panel is compatible with up to 360mm radiators, including support for 200mm sized radiators. 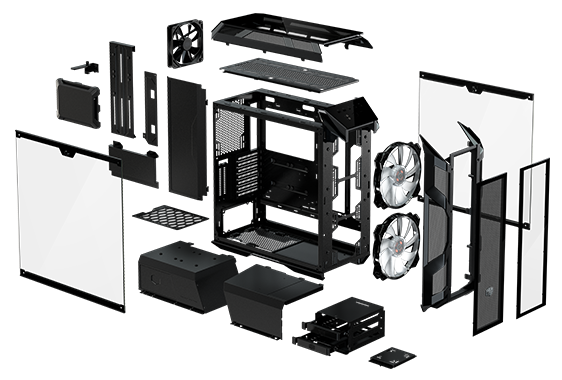 The top bracket supports up to 360mm radiators along with 200mm fans. A dedicated water pump bracket offers mounting options directly atop the PSU shroud. 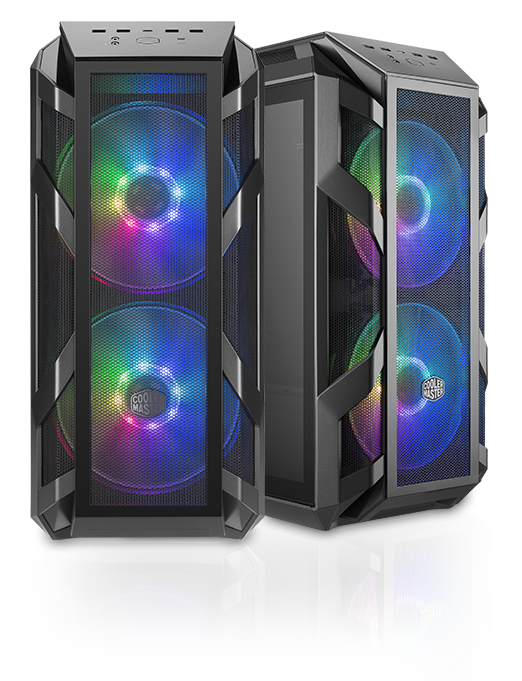 A total of 9 covers take clean building to the next level with a PSU cut out cover that provides the option of showing off your PSU or leaving it out of sight. 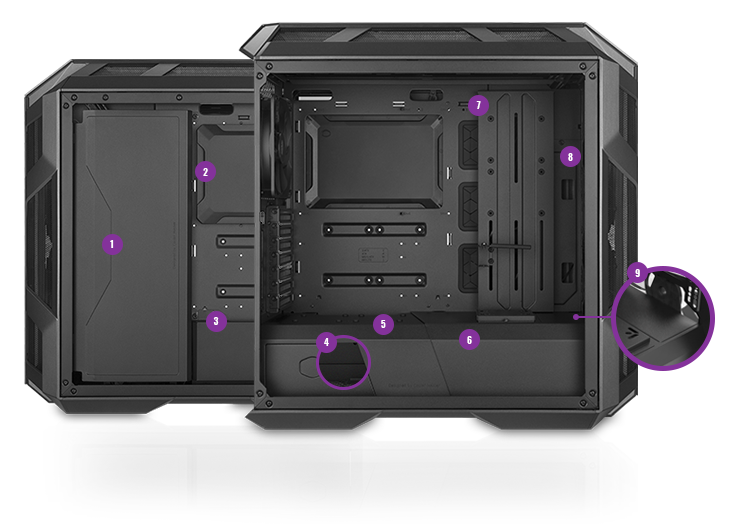 The I/O panel comes with a USB 3.1 (Gen 2) Type-C port, and four additional USB 3.0 ports. Audio-in and out with support for HD Audio. 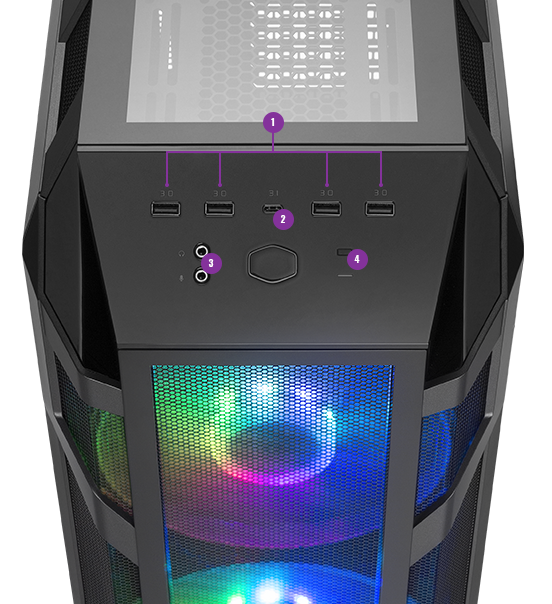 The included addressable RGB controller manages the lighting of the system and can be connected to the reset switch.